KSRealityBites: Gene responsible for Parkinson's disease identified! 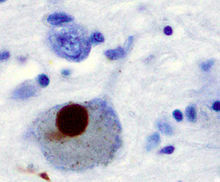 Gene responsible for Parkinson's disease identified! Scientists 've identified a gene responsible for developing Parkinson’s disease, a discovery that could lead to new ways to treat the degenerative disorder. Researchers at Stanford University, California, found a molecule, called microRNA, which causes the death of nerve cell in the brain, triggering Parkinson’s disease. Describing their discovery as a “significant step forward” in the battle against the degenerative disease, the scientists said it would pave the way for new drugs that could block the molecule’s action in its tracks. Parkinson’s is a progressive neurological condition resulting in tre-mor, difficulty in moving and loss of balance that’s diagnosed after the age of 60, although one in twenty sufferers are under forty. A person with Parkinson’s will only develop symptoms once around 80% of these cells are lost, so they may 've had the condition for some time before problems come to attention. The researchers found that the gene variant results in impaired activity of chemicals which fine-tune protein production in cells. Lead author Prof. Bingwei Lu said: “MicroRNA, whose role in the body has only recently begun to be figured out, has been implicated in cancer, cardiac dysfunction and faulty immune response. But this is the first time it has been identified as a key player in a neurodegenerative disease” The new findings showed how the mutation trips up normal activity leading to overproduction of at least two proteins that can cause brain cells to die.